More events and details to come! Composer/pianist Carter Pann has written for and worked with musicians around the world, garnering performances by ensembles such as the London Symphony and City of Birmingham Symphony, the Tchaikovsky Symphony in Moscow, many radio symphonies around Europe, the Seattle Symphony, National Repertory Orchestra, the youth orchestras of New York and Chicago, and countless wind ensembles. He has written for Richard Stoltzman, the Antares Ensemble, the Capitol Saxophone Quartet, the West Coast Wind Quintet, the River Oaks Chamber Ensemble and many concert pianists. His String Quartet No. 2 “Operas” was commissioned by the Takács Quartet to premiere in the 2015-16 season. 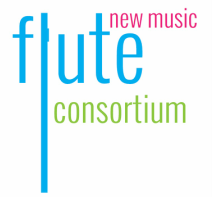 Pann has been awarded a Charles Ives Fellowship, a Masterprize seat in London and five Morton Gould ASCAP awards (including a Leo Kaplan award) over the years. His numerous albums encompass solo, vocal, chamber, orchestral and wind music and have received two Grammy® nominations to date. He currently teaches at the University of Colorado in Boulder. For additional information, please visit www.carterpann.com.